These cookies are based on my friend Bart’s mother’s famous Ranger cookie recipe. I had never heard of them before but apparently Ranger cookies have been around since the 1920s. Some people call them Cowboy cookies. We call them yummy! Preheat oven to 350. Make the flax eggs and set aside. Line baking sheets with parchment paper. Sift the flour into a big mixing bowl. Add the oats, cereal, coconut, sugars, baking soda and powder, vanilla powder and salt. Mix well. Add the sunflower oil, milk and flax eggs. Mix until it comes together. Using an ice cream scooper, scoop the batter onto the baking sheets. Give the cookies plenty of room because they will spread out. Bake for 18 to 20minutes. Let them cool completely. Enjoy! These are great for packing into the lunchbox. They look simply delicious! Me too, I haven’t heard of these kinds of cookies, but cowboy cookies sound better 😉 Interesting that it has brown rice cereal, it’s more like a cereal cookie, right? 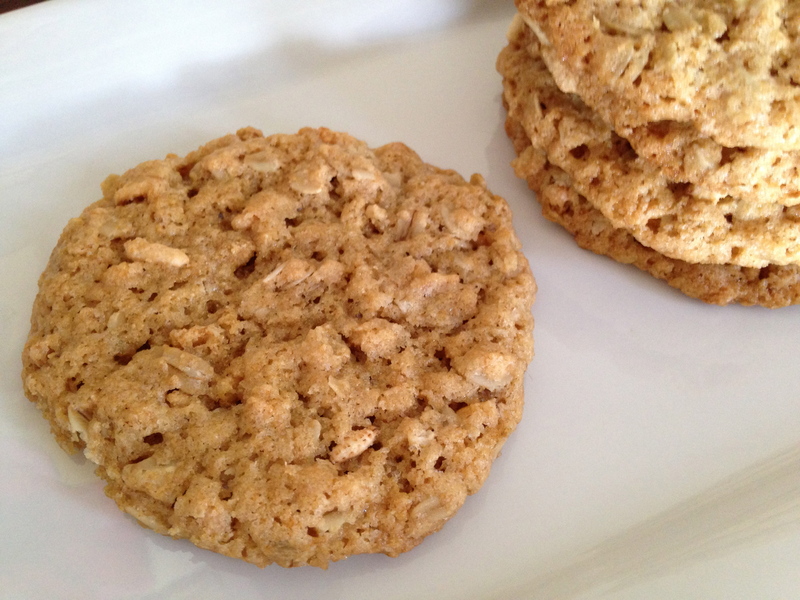 this cookie is crunchy and has cereal in it so you can call it a cereal cookie if you like!